We ship worldwide, rates are displayed at checkout and here. All purchases MUST be verifiable giftware/bath & body businesses ONLY or they will be refused and refunded. We reserve the right to refuse our products and services to anyone without explanation. We use ONLY recyclable and biodegradable plastics. 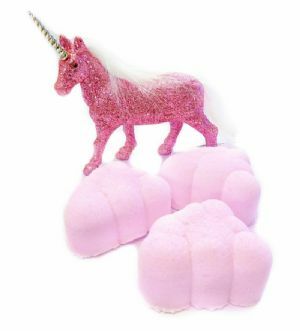 Our shrink-film is a corn-based polylactic acid (PLA) by EarthFirst and our glitters/confettis used to decorate some products are a vegetable cellulose base that is fully biodegradable. Crashing waves of cool mint, geranium, and citrus are soothed by a touch of a sea lavender storm, where cool marine is enhanced by purifying notes of grapefruit and green tea. Decorated with fizzy butter icing, dead sea salt, veggie glitter and a small natural seashell. You will love this unique blend of sweet buttermilk, hints of musk and soft notes of honey infused on a base of rich cream. These fun fizzy cream cakes are shaped like big fat donuts and weigh a whopping 165gm! They are drizzled with cocoa butter, shea butter and coconut oil icings and decorated with a square of natural organic beeswax and a sugar paste bee or ladybird. A delicate, sensual, and soft fragrance like a star shooting across the heavens in a vibrant display of bright notes and mysterious depths. 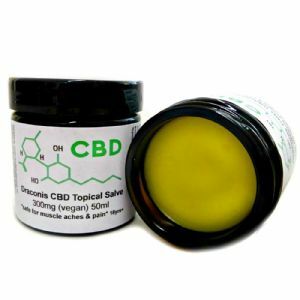 Floral, citrus, unisex and sharp herbals. This bomb is drizzled with natural Canadian mined mica in fuschia and silver tones and lightly sprinkled with iridescent veggie cellulose glitter. Peaceful ancient woodlands where bluebells bow in the spring breeze enhanced by the subtle sweetness of bramble berries. Underfoot fresh pine needles nestle with rich cedar wood, patchouli and weathered moss. 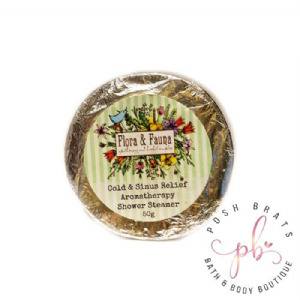 Sparkling pearly white mist is cooled by green floral accord where green stems, violet and icy ozonic notes leads you to a heart of lily, peony, rose, mimosa, carnation and jasmine. The woody base of amber, sandalwood, cedar wood and moss is smoothed by hints of vanilla and musk. This bomb is topped with fizzy cocoa/shea/coconut butter icing, natural micas in pearl, baby pink, and silver, veggie cellulose glitter, and natural mixed gemstone crystals. A sweet confectionery accord of juicy lemon and lime, a splash of sweet orange and hints of red fruits, strawberry and raspberry followed by a fizzy sherbet. 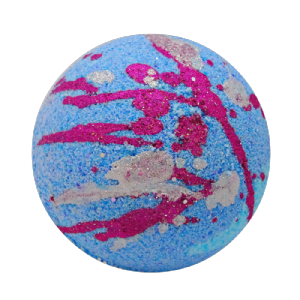 This bombs has a subtle sparkle from veggie cellulose glitter and mica. Deliciously sweet bubblegum with hints of delicate orange, ripe raspberry and light floral notes. These fun fizzy cream cakes are shaped like big fat donuts and weigh a whopping 165gm! 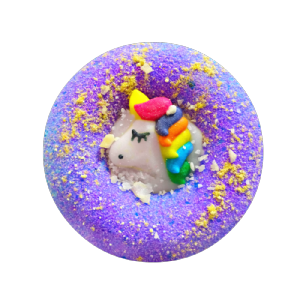 They are drizzled with cocoa butter, shea butter and coconut oil icings and decorated with a sugar paste unicorn, veggie cellulose glitter, and fizzy sprinkles. Silky white musk notes with seductive nuances of lily, carnation, patchouli and exotic ylang ylang.